Exciting times: popularity and participation of indoor climbing is booming, marching hand-in-chalk-bag with the exponential growth of climbing walls across the UK. These factors, in turn, are fuelling the number of people watching British Competition Climbing, which will undoubtedly receive a further fantastic boost in the run up to seeing climbing enter the Tokyo Olympic Games in 2020. Why do we need a Supporter scheme? Medal hopefuls like Shauna Coxsey have recently secured funding of up to £630k from UK Sport. However, whilst this is great news for the sport, this funding is very specifically targeted and does not pay for the national talent development programmes, competition programme, or national team expenses, which provide the long-term pathways toward GB athletes finding success in the international arena. Historically, these programmes have largely been possible due to Sport England funding, which is increasingly uncertain. Even with this funding, our competition climbing work would not be possible without the passionate and generous grassroots support of climbing centres and volunteers. 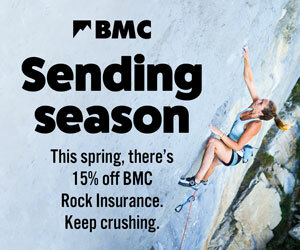 We recognise that the hosting of BMC competitions is typically a loss-making activity for most climbing centres and the widespread free access offered to GB Climbing Team athletes to climbing centres is very generous; especially so for those centres which are heavily used by the team in cities such as Sheffield. Naturally at the BMC we are looking at alternative ways of funding and for this we are already grateful to the Oakwood Climbing Centre in Wokingham and the Quay Climbing Centre in Exeter whose generous sponsorship wholly underwrites the GB Paraclimbing Team’s budget for the next three years. Similarly, Rock Over Climbing in Manchester has provided a much-needed training facility for the teams as well as additional funding. To enable climbing centres to help with the funding and show their support for the national teams we are re-launching the Gold, Silver and Bronze award scheme. Climbing Centres which sign up to the scheme will be individually acknowledged and thanked on the BMC website and digital communications. We will also provide participating walls with a display certificate which we hope you will display with pride at your centre. In addition Gold sponsors will automatically be offered free annual BMC Associateship membership in recognition of their contribution. For those wanting to participate the cost of Gold membership is £1,000pa Silver £500pa and Bronze £250pa. To become a Supporter, please email Simon Lee, BMC commercial partnerships manager. In early January, the newly selected 2019 GB National Development Squad gathered at Kendal Wall. In store for the young guns was the first of four training weekends, and the first of such weekends to be organised by recently appointed Talent Development Coordinators, Lu Whittaker and Tim Cunnington. Here's a parent's perspective from attendee David Xiberras. Fancy building a climbing wall? New facility in Hemel Hempstead - XC!